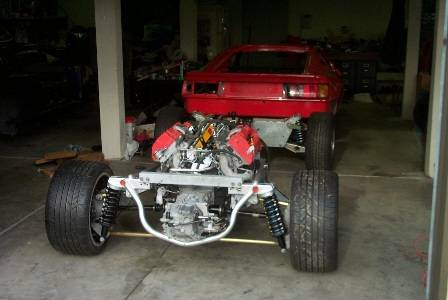 ...... and fit it to a Giugiaro Turbo Esprit! 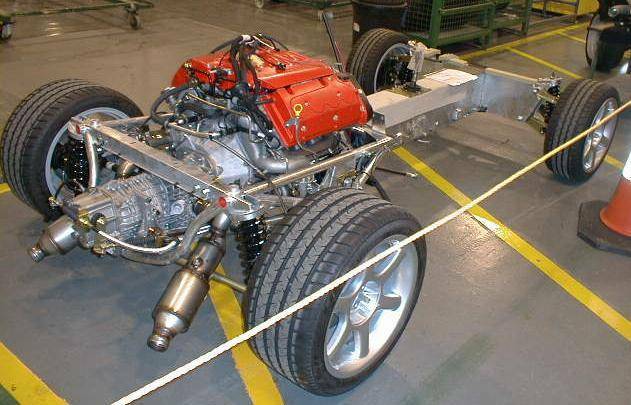 But while doing this, I'll just have to take the opportunity to carry out some extensive engine tuning, including higher boost pressures and the fitting of twin chargecoolers, which will endow the Giugiaro Esprit with 500+ bhp!! 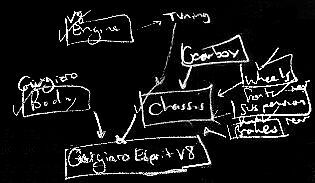 - Sounds like a plan to use my Esprit as the basis of the realisation of the goal of the original Lotus Project M71... and put a Giugiaro Esprit at the top of the performance list for the marque once again. The problem normally here (and for current production Esprit V8's) is the Renault transaxle - the Renault gearbox is the reason the V8 only produces 350 bhp - it simply cannot accept any more than this, without stripping gears and generally destroying itself. There is an easy 500 bhp in the 918 engine ...... 3.5 litres normally aspirated would give you 350 bhp with a workman-like 100 bhp per litre output ...... with twin turbos much greater outputs are easily available ..... and with high boost and intercooling (chargecooling) probably double the Renault gearbox limit would be achievable (sounds nice for track days!). 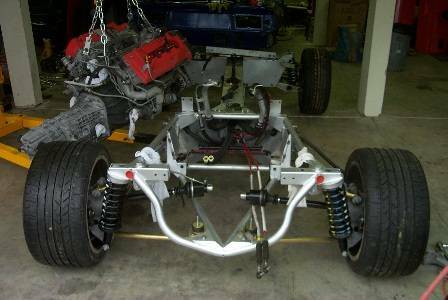 SO this IS the plan - to build a rolling chassis, using all current Lotus V8 parts, to tune the engine to 500 bhp+ and then mate it to the chassis (as in the picture below - not mine - for info at this stage!) and then transfer my restored Giugiaro shell onto, what will be, all completely new mechanical elements of the car!